Tapping the springboard so his hand-made limberjack will dance, Irish singer Tim Van Egmond entertains his audience in the Kent Memorial Library’s program honoring St. Patrick on March 9. 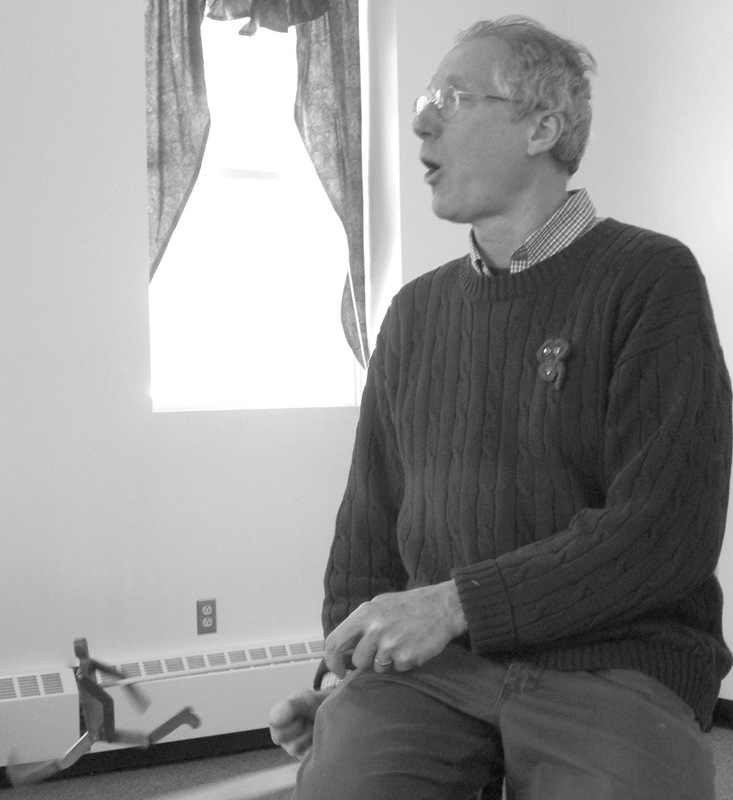 A versatile performer, Tim sang, played his hammer dulcimer, and told great old stories. Support by the Friends of the Library, the program attracted an appreciative audience to the Senior Center.